I have a student whose father helped (actually made) him practice. They got into loud arguments and the mother would intervene saying the father shouldn’t raise his voice, or treat this poor little boy so harshly, etc., etc. The little stinker enjoyed this, but his parents didn’t believe me when I pointed this out until he admitted it openly. From then on the father made sure to practice with the child far out of the mother’s earshot. This little boy is an adolescent now, practices on his own (admittedly not enough but when is a teacher ever happy? ), and says he wants to be a violinist when he grows up. He LOVES his violin. If Daddy hadn’t insisted….???? Sometimes I get tearful phone calls from mothers saying they get into fights with their children when practicing only to have the father come home and take the child’s side. I advise them to have a discussion with the father to make sure they are on the same page and then to practice when he isn’t around just to be sure he doesn’t waver. The two little girls I am thinking of have recently decided they adore their violins and told their mothers they couldn’t wait to see me after the Christmas vacation. If Mother hadn’t insisted…..???? Countertactic: Parents, make sure you both agree and support each other, and/or practice with your child when the other parent isn’t around. Children keep arguing in the hope they will wear you down and you will give up. I have long felt that Arguing With Mother should be an official Olympic sport. And sport it is for many children. When she was 10, my elder violinist daughter asked my help to decide what she should give up for Lent. She said she couldn’t think of anything she particularly liked that much and needed my input. I asked her, “Does it have to be something you REALLY like?” “Yes,” she replied, so I told her to give up arguing with her mother for 40 days. “Oh, no,” she said, “I like that TOO much!” So there you have it – out of the mouths of babes, as they say. Countertactic: You have to be more determined than they are. This isn’t always easy. However, you can become selectively deaf until they realize that it is useless to argue. OR you can try a tactic that I used many years ago to win an argument with my supremely argumentative elder daughter, who now – thirty years later and still argumentative – finds herself arguing with HER children about practicing. One day she and I were in full, shall we say, discussion when I said, “Stop. Just tell me one thing. Who is going to win this argument?” After hemming and hawing a bit, she admitted that I would. “Okay,” I said, “so tell me then – WHY we are arguing?” Not even she had an answer for that! “I hate you!” or “I hate the violin (or name your instrument)!” Many parents worry that insisting that their children practice will lead to their hating music or even hating them for imposing this discipline. Countertactic: Tell them that you are not doing this to make them love you. You are doing this because you love them. You would much prefer to lie on the couch with a good book and a box of chocolates instead of arguing. This will usually stop them cold. They won’t hate you. They are just hitting below the belt to get an advantage. For heaven’s sake, don’t let them know if they hurt your feelings. You might do well even to laugh. If it is any consolation, I know lots and lots of people who are happy they studied music as children. I know many more people who are sorry they didn’t, including some who say they are sorry their parents didn’t care enough to insist that they practice. 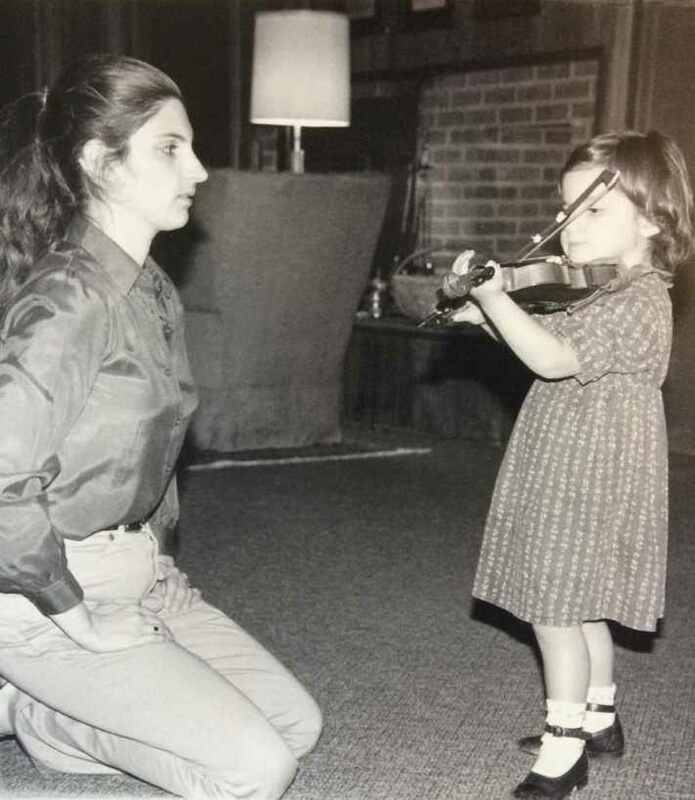 In my experience a child who asks to play a musical instrument and practices willingly does not necessarily go on to pursue a career or even continue playing. On the other hand, I have had students who didn’t particularly want to play the violin, who didn’t want to practice, who fought their parents tooth and nail about it and who, after years of this, suddenly decided that they loved it after all and went on to study music very seriously, much to everyone’s surprise. We can never be sure what children will do when they grow up, but we CAN give them the discipline that allows them to have choices in life. This is a great, profound article that is applicable to any musical instrument and beyond. Thank you for an excellent article that was not only instructive, but made me genuinely laugh on three occasions! I would like to second Edith’s comment. I am especially appreciative of the fact that the post made me laugh as I am reading this on a Monday morning! One day in the winter, when I was three or four years old, my mother and I came indoors from whatever fun I was having outside, and I insisted that my mother help me remove my winter clothes (imagine something like the full-body suit that the younger brother in A Christmas Story wore). She told me that she had to prepare lunch but that I was perfectly able to take my suit off myself. I insisted, and she said that I could complain all I wanted: she was just going to go about preparing lunch anyway, and she did. And I cried and cried and got tired and sat on the floor and cried some more and lay down and fell asleep. In our little war of attrition I lost against a nation stocked with superior resources. I admit I don’t really remember what happened when I woke up, but I probably took the suit off and ate my lunch. You didn’t lose against a nation stocked with superior resources but against one which was aware of having them and, more importantly, USED them without any sense of guilt. Good for your mother. I am sure you are the fine, upstanding, accomplished, self-sufficient and non-whining citizen you are now due to her not giving in to your piteous crying or succumbing to the numerous other tactics you must have used to obtain whatever it was you wanted. I assume you also take off your snowsuit now all by yourself! Levity aside, thanks for the comment.